Turned up bang on time, very polite and courteous. 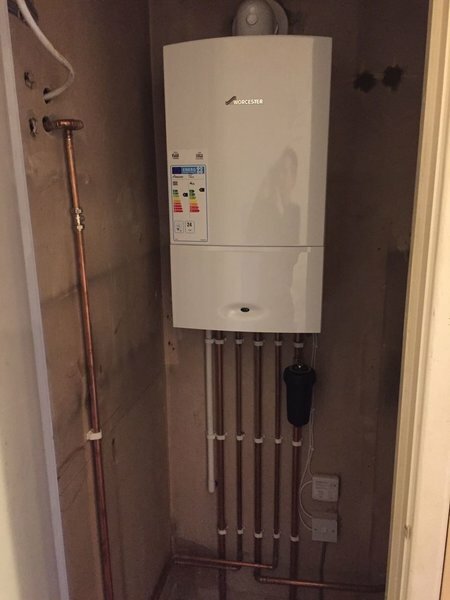 Condensing Combi boiler installed within the day as promised and to budget. Good instructions given to us after work completed, work area left clean and tidy (dustsheets put down). Overall, delighted! HHS should be extremely proud of their ambassadors, would definitely recommend. Fixing new boiler, flue etc. The engineers arrived promptly on the date promised. They worked very hard but were courteous and considerate of my well being. Much appreciated as I am 86 years old. I have had no teething problems. Thank you very much for you review Ivy. On looking through the reviews on these pages, I noticed that they are quite old? Having said that the older reviews are very much still relevant in every way. We very recently had our old boiler replaced by this company. 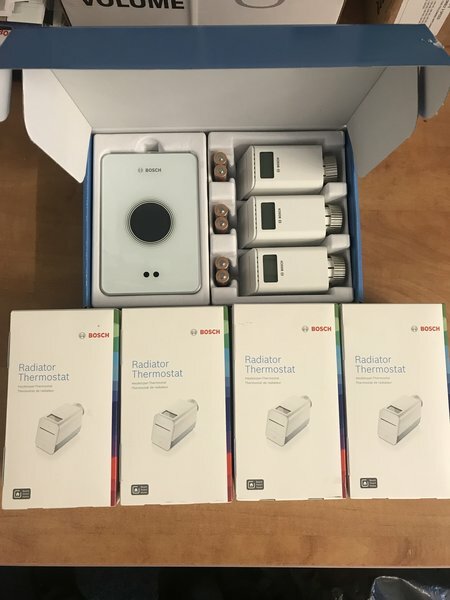 We were directed to them via the Worcester Bosch website as one of their recommended installers. Firstly well done to them for having such a trusted list of reliable installers. All the work was very well organised from start to finish. The quote was very competitive! and we were kept informed every step of the way. The installers were very considerate,efficient and clean. They arrived when they said they would and completed the job to a high standard. We had a small problem with the condensate pipe not being sited as I had requested in order to reduce the chance of freezing, but this was a simple miscommunication between the quote and the installation and was immediately corrected without any fuss at all. I will use this company for any future work without hesitation and certainly for the annual servicing. I would recommend that you invite this company to provide you a quote for any work you are thinking of having done. Thank you very much for your kind review Mr Wakelin. 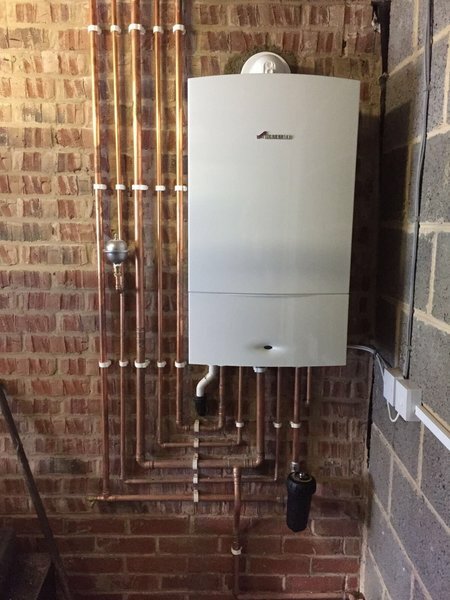 Had a new boiler installed yesterday - Peter and Jack did a fantastic job. Professional and friendly; nothing was too much trouble for them. Turned up when they said they would - on the dot. Would definitely recommend and will be using Horsforth Heating Solutions for annual maintenance going forward - keep up the good work guys!! From the initial call with Horsforth Heating Solutions to boiler being fitted, only took a few days - fantastic! Exceptional customer service from start to finish. From the first call with Ben, valuation from Tom, to Pete who installed our boiler. All lovely, honest chaps. Will definitely recommend! Thank you thank you! Thank you very much Gemma. Arrived promptly and finished the job in time frame given. Tidied up. Very pleasant & personable. There was a problem with the system not working properly, but they came back the next day and fixed it asap. Customer service very good. Struggled to find a superlative for the review title which had not been used before, which says a lot. The job that Tom, Pete and Jack did for me came in two parts. The first was fitting two new radiators at very short notice, and the second was a boiler replacement. During both parts of the job the team were very professional in the way they presented themselves and the business, but were very personable and accommodating at the same time. They were happy to take time to discuss my requirements to make sure I got what I needed, and were happy to offer advice when it was necessary. The jobs were done quickly but to a high standard, and the house was kept clean and tidy throughout. I always ask myself if I would use a trader again, and if I would recommend them to family - the answer to both is a very definite "yes". Thank you very much for your very kind review Stuart. My boiler was not producing hot water and, after disappointing service in the past, I contacted Horsforth Heating. The following day Mick came out after I received a call to say he was on his way. He quickly diagnosed the problem, had the requisite part in his van and it was successfully replaced. He was very pleasant and thorough and kindly checked my bathroom towel rail bleed valve. The repair was reasonably priced and I would be happy to have them again as well as recommend them to others. Called these guys for a short notice boiler service as part of our house sale. They were prompt, courteous, thorough and great value. Will definitely use them again in our new home.